Books Set In: Where Are You Now? 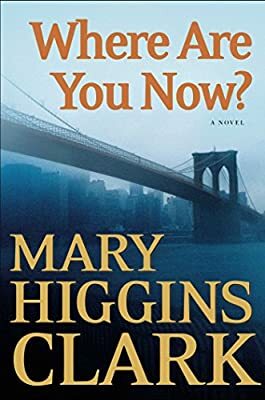 Author: Clark, Mary Higgins Set In . . . Description: From America's Queen of Suspense comes a gripping tale of a young woman trying to unravel the mystery of a family tragedy -- a quest with terrifying repercussions. It has been ten years since twenty-one-year-old Charles MacKenzie Jr. ("Mack") went missing. A Columbia University senior, about to graduate and already accepted at Duke University Law School, he walked out of his apartment on Manhattan's Upper West Side without a word to his college roommates and has never been seen again. However, he does make one ritual phone call to his mother every year: on Mother's Day. Each time, he assures her he is fine, refuses to answer her frantic questions, then hangs up. Even the death of his father, a corporate lawyer, in the tragedy of 9/11 does not bring him home or break the pattern of his calls. Mack's sister, Carolyn, is now twenty-six, a law school graduate, and has just finished her clerkship for a civil court judge in Manhattan. She has endured two family tragedies, yet she realizes that she will never be able to have closure and get on with her life until she finds her brother. She resolves to discover what happened to Mack and why he has found it necessary to hide from them. So this year when Mack makes his annual Mother's Day call, Carolyn interrupts to announce her intention to track him down, no matter what it takes. The next morning after Mass, her uncle, Monsignor Devon MacKenzie, receives a scrawled message left in the collection basket: "Uncle Devon, tell Carolyn she must not look for me." Mack's cryptic warning does nothing to deter his sister from taking up the search, despite the angry reaction of her mother, Olivia, and the polite disapproval of Elliott Wallace, Carolyn's honorary uncle, who is clearly in love with Olivia. Carolyn's pursuit of the truth about Mack's disappearance swiftly plunges her into a world of unexpected danger and unanswered questions. What is the secret that Gus and Lil Kramer, the superintendents of the building in which Mack was living, have to hide? What do Mack's old roommates, the charismatic club owner Nick DeMarco and the cold and wealthy real estate tycoon Bruce Galbraith, know about Mack's disappearance? Is Nick connected to the disappearance of Leesey Andrews, who had last been seen in his trendy club? Can the police possibly believe that Mack is not only alive, but a serial killer, a shadowy predator of young women? Was Mack also guilty of the brutal murder of his drama teacher and the theft of his taped sessions with her? Carolyn's passionate search for the truth about her brother -- and for her brother himself -- leads her into a deadly confrontation with someone close to her whose secret he cannot allow her to reveal.